“We have no idea if we’ll ever get to stand with a microphone in front of people at a No. 1 party again,” said a heartfelt Chris Young at his latest No. 1 party for “Losing Sleep,” which marked his 10th chart-topping single. “I didn’t think I’d get to do my first one, and I had two No. 37s in there, and a No. 52 with an Ashley Gorley song—that takes talent with an Ashley Gorley song. 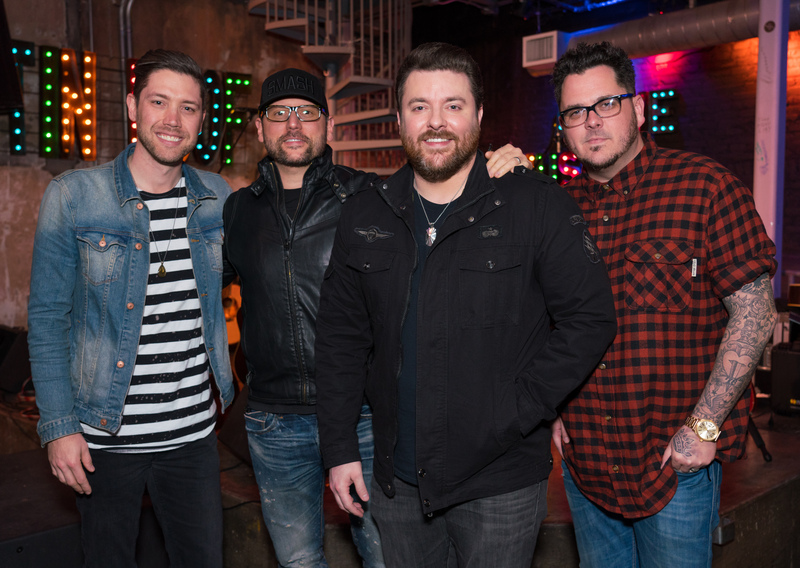 BMI’s Bradley Collins hosted Young’s event at the Tin Roof (nicknamed the “Ten” Roof for the 10th No. 1 song) for his writer Young. ASCAP’s Mike Sistad, who’s No. 1 parties are sponsored by First Tennessee Bank, offered remarks on songwriter Chris DeStefano’s 15th No. 1 song and producer Corey Crowder’s fourth No. 1 as a producer. SESAC’s Shannan Hatch thanked Bose for backing the music rights organization’s No. 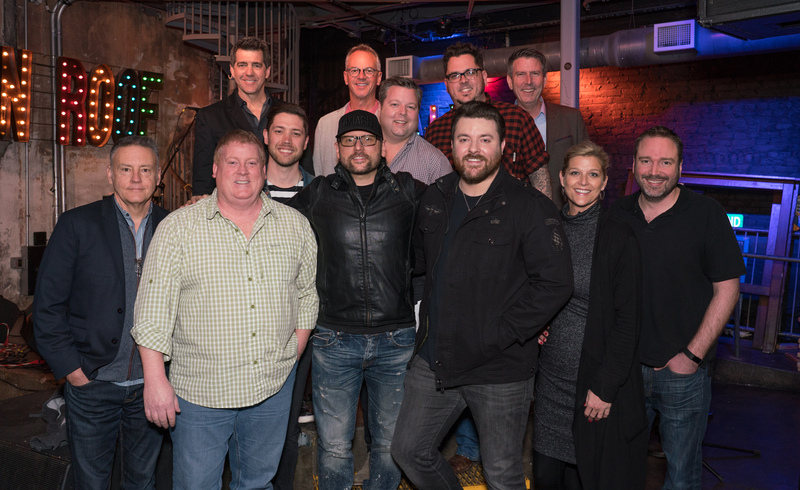 1 parties before congratulating her 2016 Songwriter of the Year Josh Hoge on his latest No. 1. Sony/ATV publisher Josh Van Valkenburg noted that Sony/ATV controlled 100 percent of the writers’ share for “Losing Sleep,” and poignantly offered comments on Young, who has had so many cuts on his own catalog. MusicRow’s Sherod Robertson offered No. 1 Challenge Coins for the writers and artist for the top achievement on his CountryBreakout Chart. The CMA’s Brandi Simms offered the creators their CMA Medallions and CRB’s Kurt Johnson noted the title has achieved 9.64 million in total audience impressions to date. Young, who is a brand new member of the Grand Ole Opry and a headliner with 18 sold-out consecutive shows on the first leg of his 2018 world tour (coming to Nashville’s Bridgestone Arena on Sept. 18), is also a nominee for the final voting for ACM Male Vocalist of the Year through Wednesday (March 14). 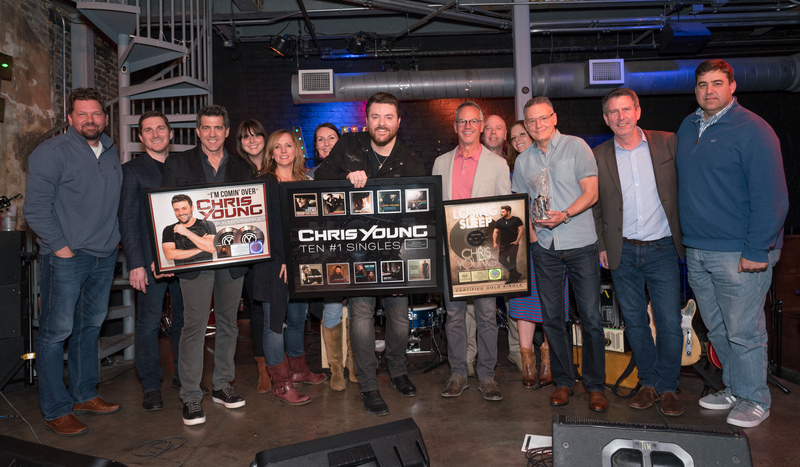 Chairman/CEO of Sony Music Nashville Randy Goodman then took the stage to introduce a slew of his staff to bestow surprise awards to Young, who he touted as the top nominee for ACM Male Vocalist of the Year. “Thank you to Corey,” said Young of his producer as he thanked his writer friends, label, manager at Fitzgerald Hartley and business management offices at Huskins Harris. “Thank you for going to find new sounds when I’m on the road, spending hours looking through files. A lot of people don’t think that’s a big deal, but sometimes it’s all those pieces that add up—it’s the fine tuning.